We provide a wide range of services that we provide to all of our clients. To have a look at all our work visit our gallery page. Visit our testimonials page to see what our clients say about us? 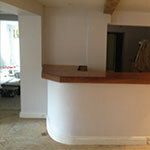 For professional plasterers across in , please look no further than Chris Bell-Tye Plastering. 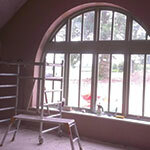 I am a friendly, honest, local plasterer who works in and around the Norfolk area. Call us today if you need experts on Dot Dab Boarding in . All aspects of domestic and commercial plastering undertaken by myself and my colleagues, from simple small repairs to re-plastering your entire house. 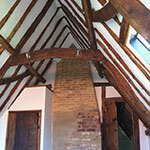 New builds, cottages and barn conversions also undertaken. I am very competitive in pricing and I do offer free quotations, so please do not hesitate to contact me today. Call us today if you need experts in Dot Dab Boarding and we will be pleased to speak to you. I am based in the town of Attleborough in South Norfolk so I am ideally situated for work in the South Norfolk/North Suffolk area but I am willing to travel further a field if required. 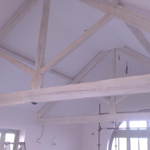 I was taught by two professional plasterers with a combined 50 years of experience and with 12 years experience myself gained within the building trade I'm proud of the high standard of work that I produce and I take great pride in the reputation that I have built up during these years. If you live in and require Dot Dab Boarding then get in touch soon.